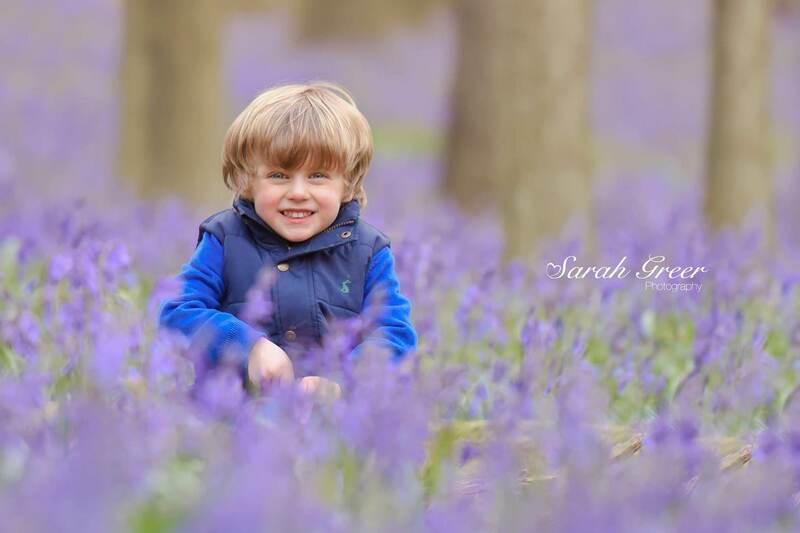 April and May are always incredibly busy months for child and family photographers because of the emergence of the bluebells. 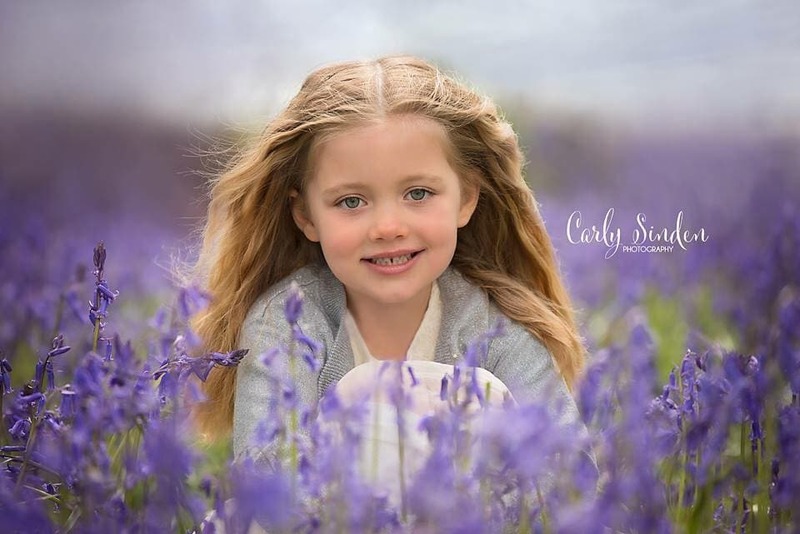 Last week I ran a bluebells workshop for professional photographers and we photographed a number of families and children together working on our light, composition and editing. 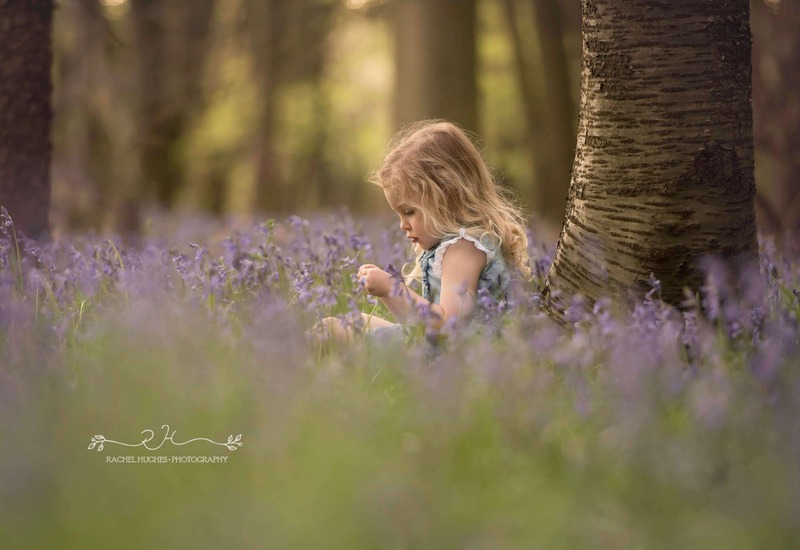 I thought it would be a good time to share some of my top tips for delivering a great set of bluebell images for your clients. 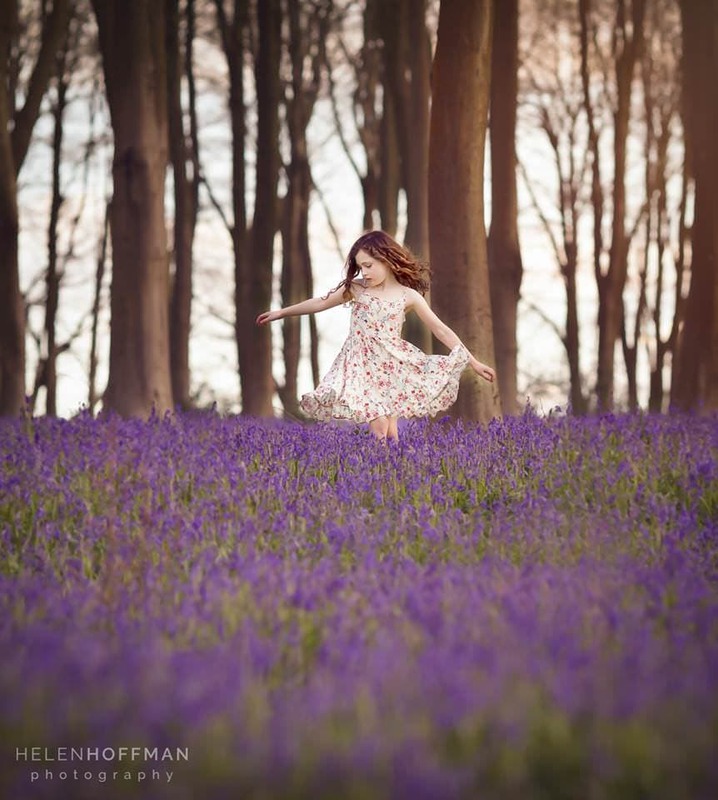 I also wanted to take an opportunity to showcase some of the fantastic images which I have seen from other professional photographers for inspiration – enjoy! 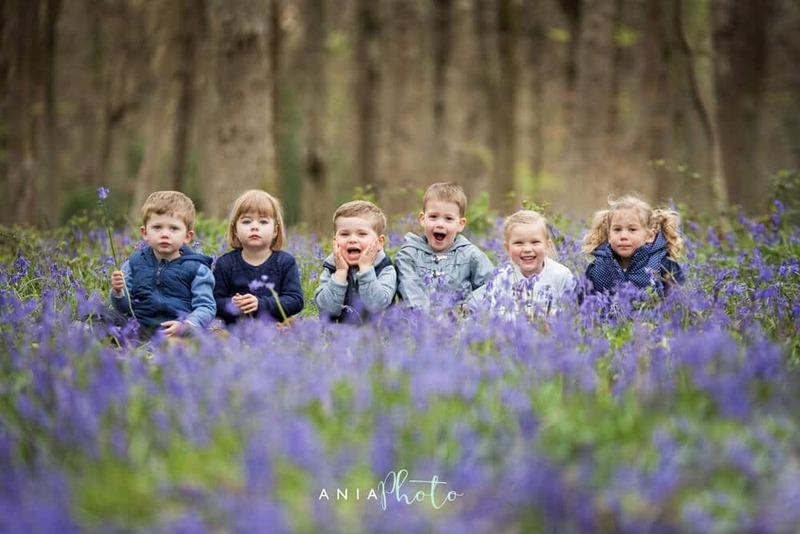 The National Trust has a number of bluebell woods on their land but these are mainly used for visiting families and not for professional family shoots. 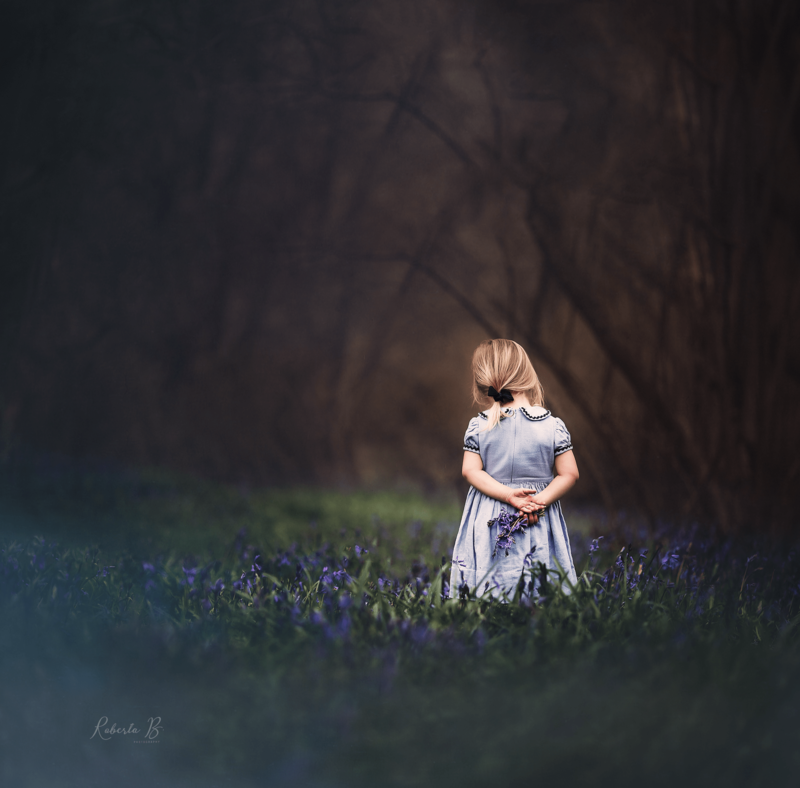 Therefore I would begin by scouting for smaller local woods close to the well known larger woods, as bluebells tend to migrate across areas. 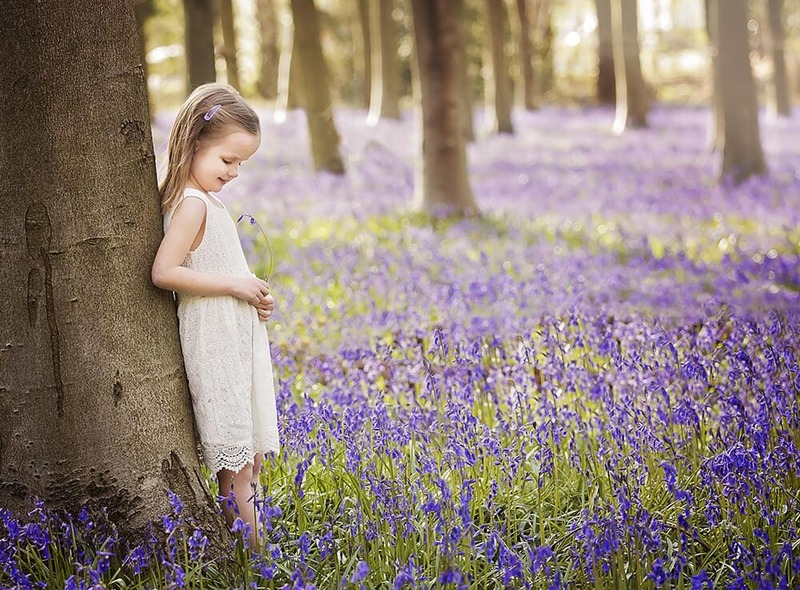 A starting point is to visit the National Trusts bluebell page which lists bluebell woods all over the country. 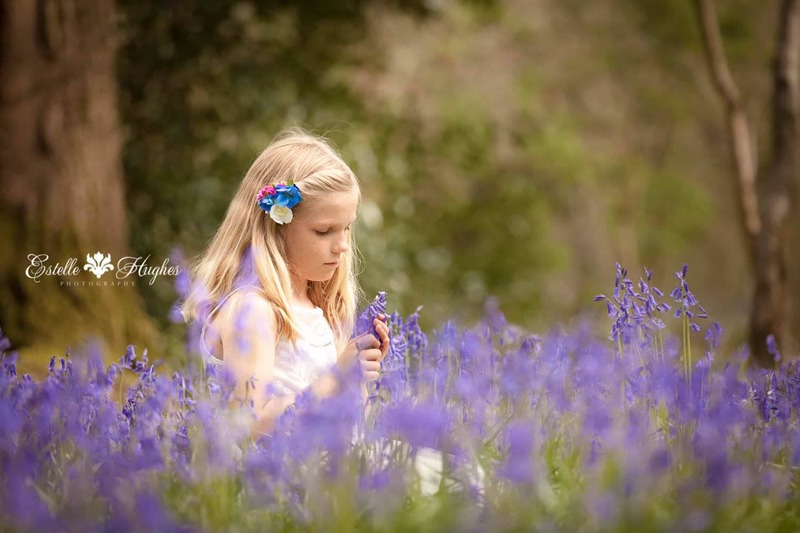 Top bluebell woods in Hertfordshire include Ashridge and Heartwood. 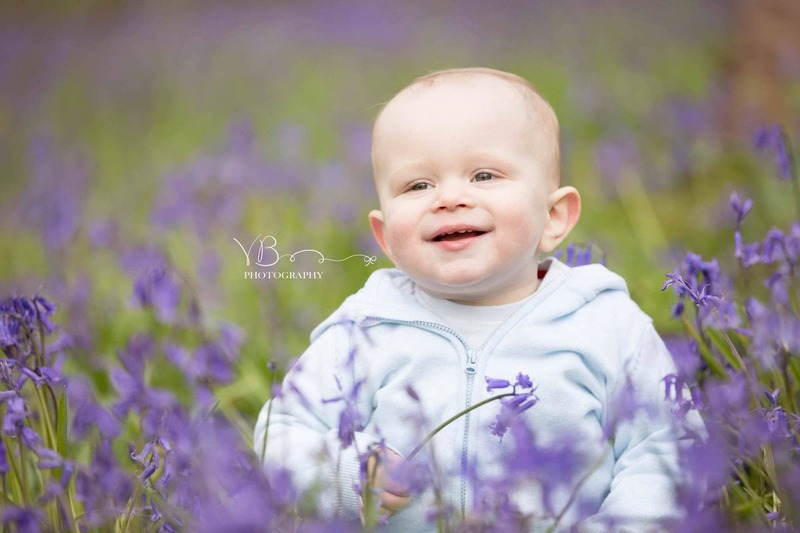 Bluebell photography is especially tricky as these flowers tend to grow where the light is dappled. Also at this time of year the trees are quite bare so you can often be faced with very bright patches of light which can create unevenly lit images. 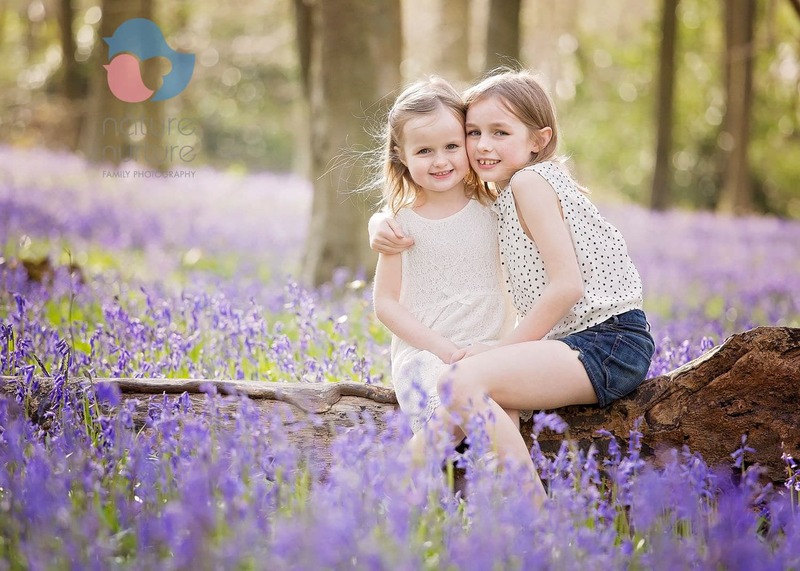 Ideally you want to photograph very early in the morning, or late into the evening when the sun is lower. If this isn’t possible then shooting when it is cloudy can actually be a positive. 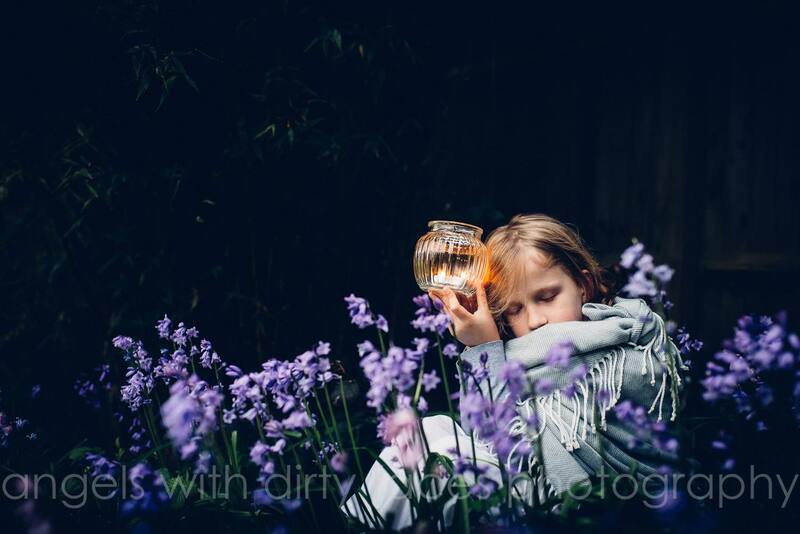 You can see from the examples below how different an image can feel depending on which time of day it was taken. You can see from the examples shown that your perspective can really change the overall feel of the shot. 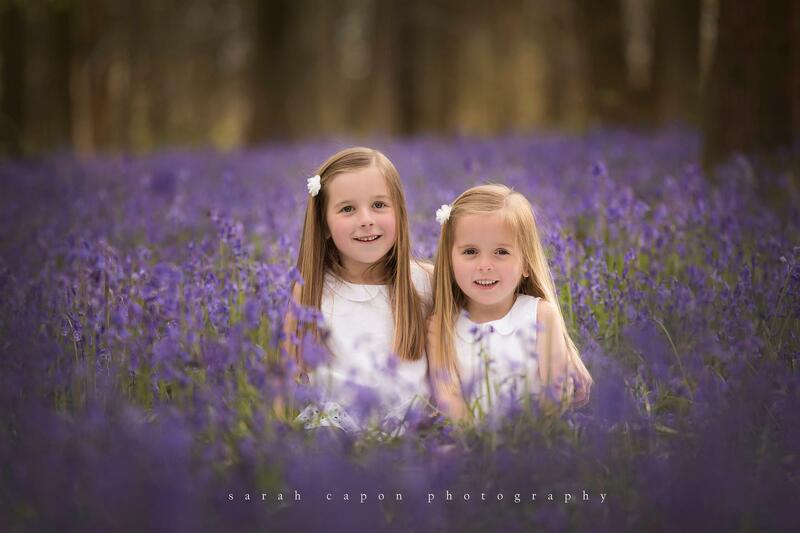 If you shoot from low down you can create a beautiful purple blur at the front of your image. 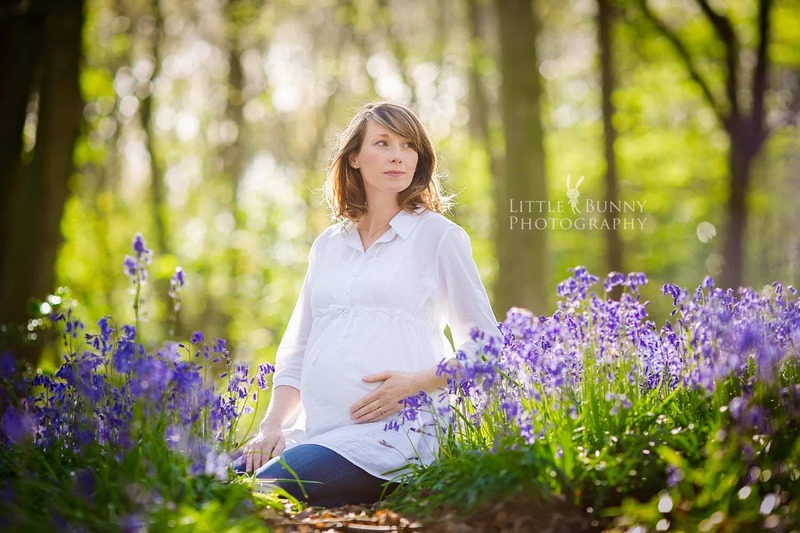 If you shoot from a standing position you can have a carpet of bluebells across the entire shot. 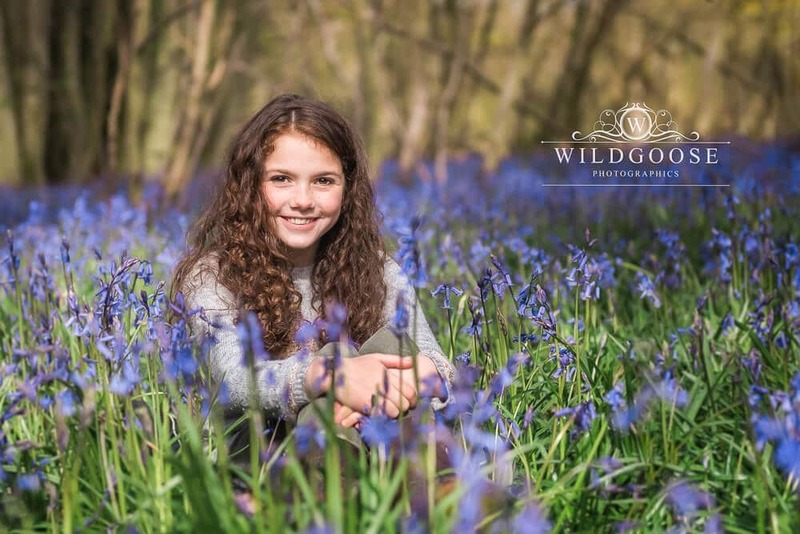 It is also important to think about the variety of images you offer your client from a bluebell shoot – close up portraits can also work well because of the dark green and purples in the background. 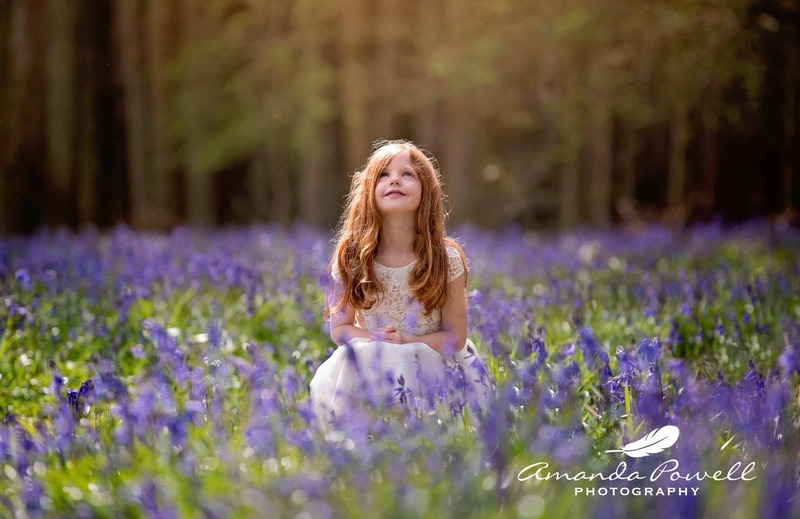 My preference for bluebell photography is a longer focal length as it helps to create separation and reduces contrast from the often bare trees behind. 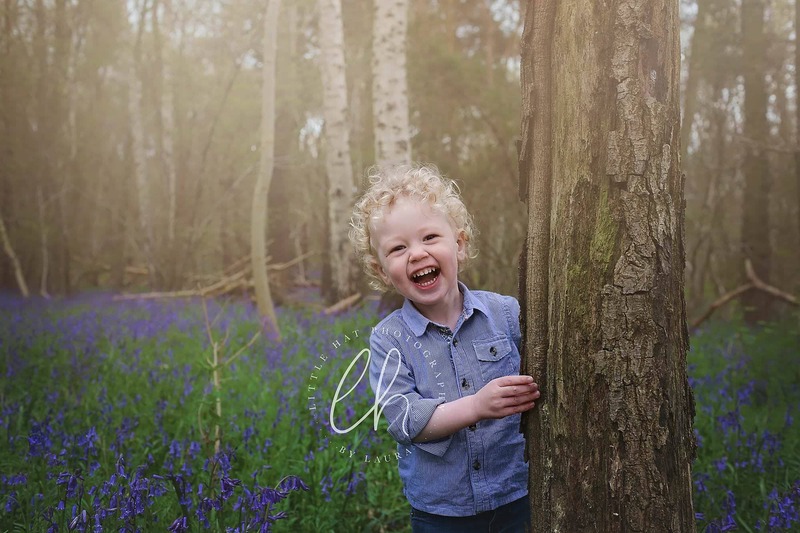 A longer focal length can also create that more magical feel which works well with the bluebells. I use both my Canon 70-200 2.8L and my 135 2.0L. Strong blocks of dark colours in the background from tree trunks. I try my best to remove these from shot by changing my position but if this isn’t possible I will often use a gradient map in photoshop to reduce the contrast (see tutorial here). Green colour casts. With my family often sitting on the ground you can get a lot of green bouncing onto their skin, especially in the shadows. To remove these I will use a magenta photo filter painted over the affected areas. 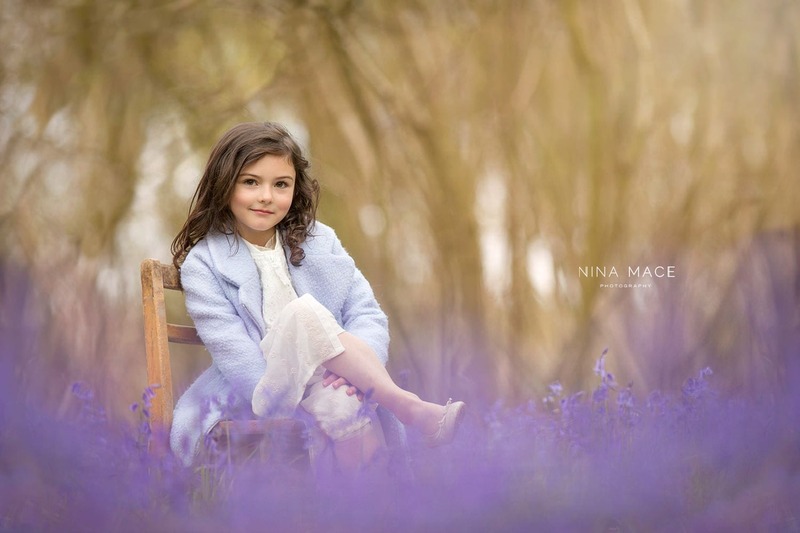 Clothing choice is very important when shooting in the bluebells. Your base colour pallete in all your images is going to be quite an acidic green and a very vibrant purple/ blue. Ideally your clothing needs to fit with this colour scheme and I tend to use neutral tones such as cream, grey, light pink etc. One excellent tool for generating colour palettes is coolors. 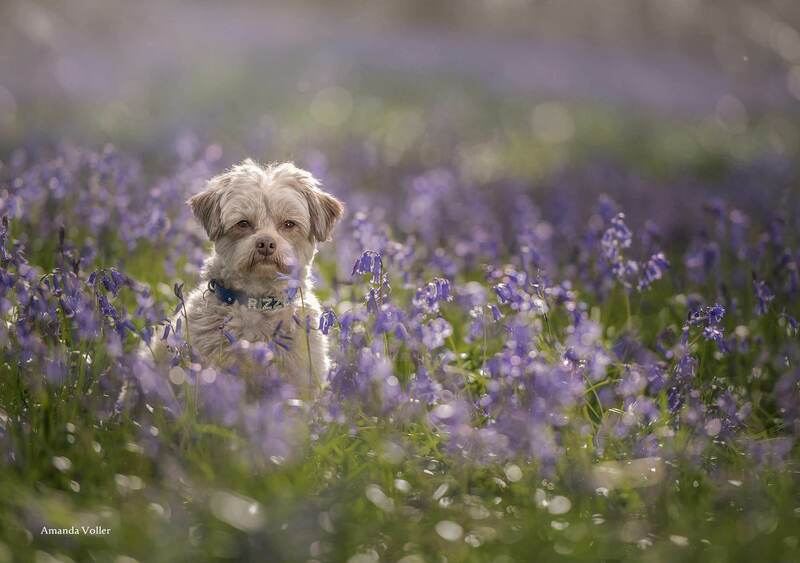 Here I locked in a typical bluebell palette and then all you do is press the space bar to generate complimentary colour palettes. 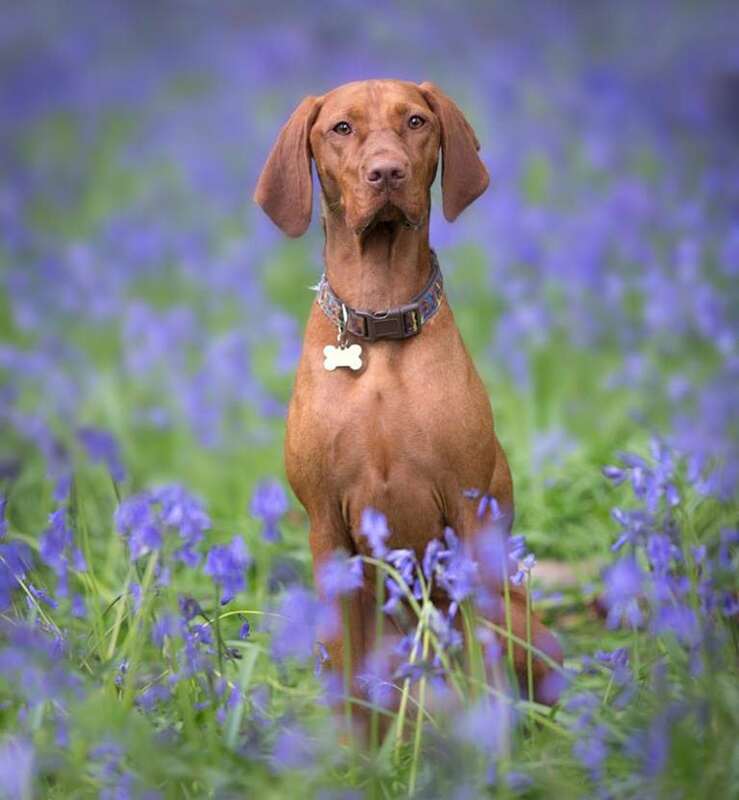 Our bluebells are a protected species so paying attention to where you sit your subjects is very important. 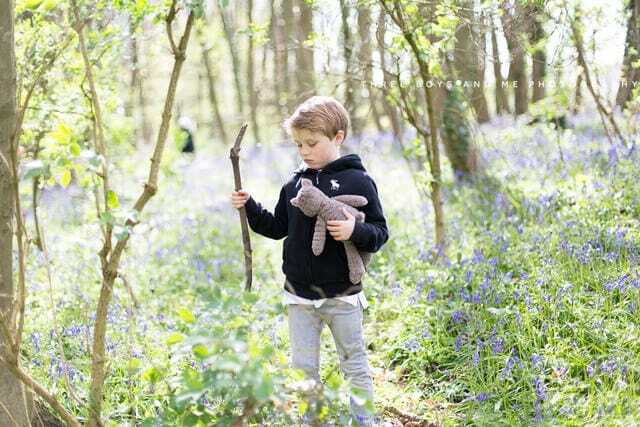 Look for patches/areas that have no bluebells or use pathways. If you shoot from very low down it is easy to make a path disappear in camera. 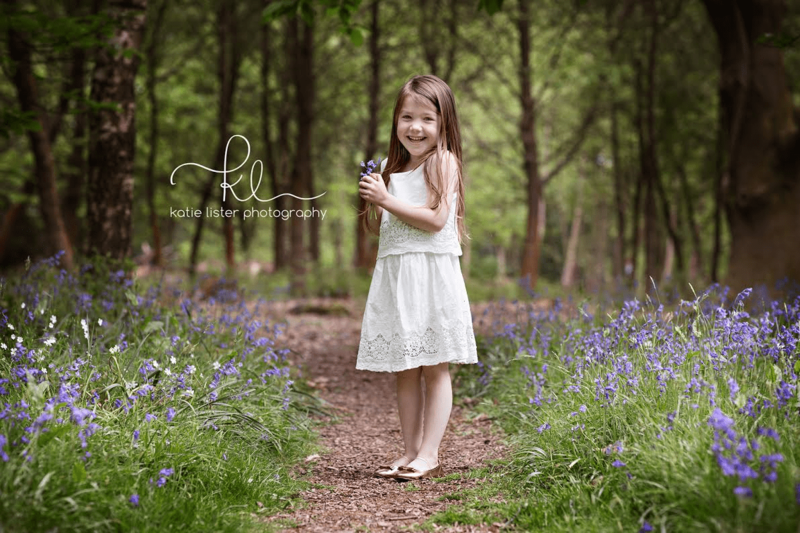 Alternatively you can use the pathways to create some lovely leading lines to your family. 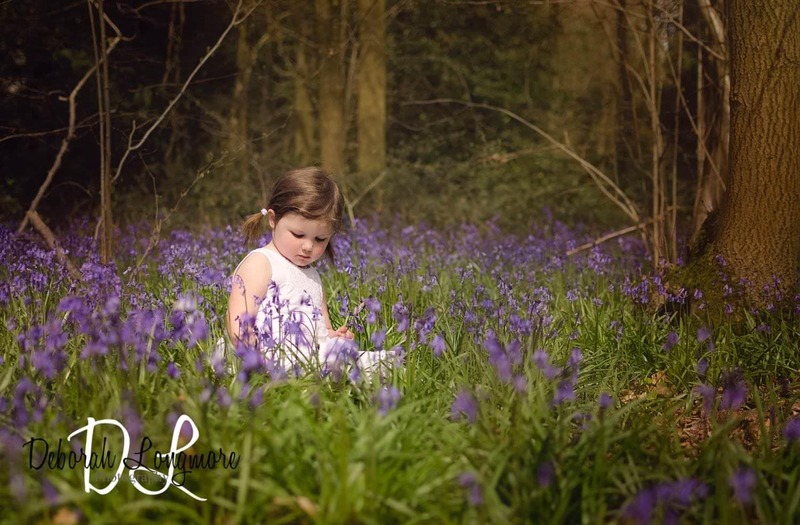 As small children are often tempted to pick the bluebells one great tip from Deborah Longmore Photography is you can order a bunch of artificial bluebells from Amazon or Ebay. 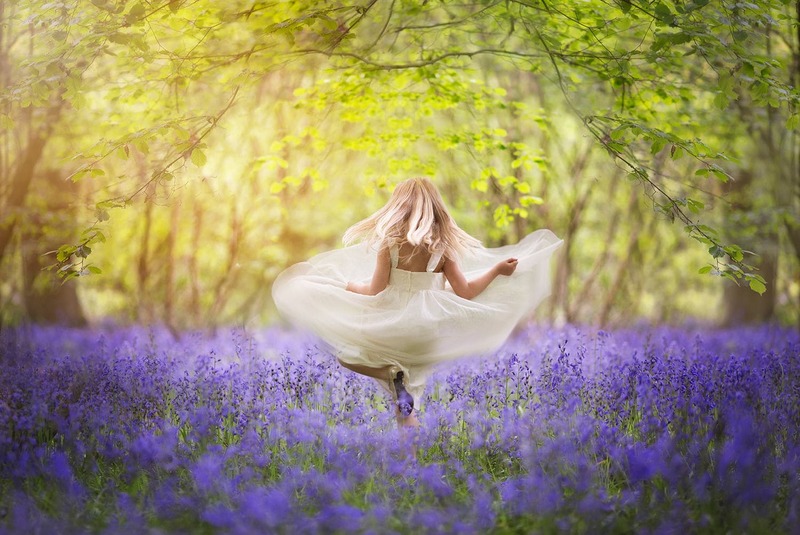 3 minutes of inspiration from photographers from all over the UK. 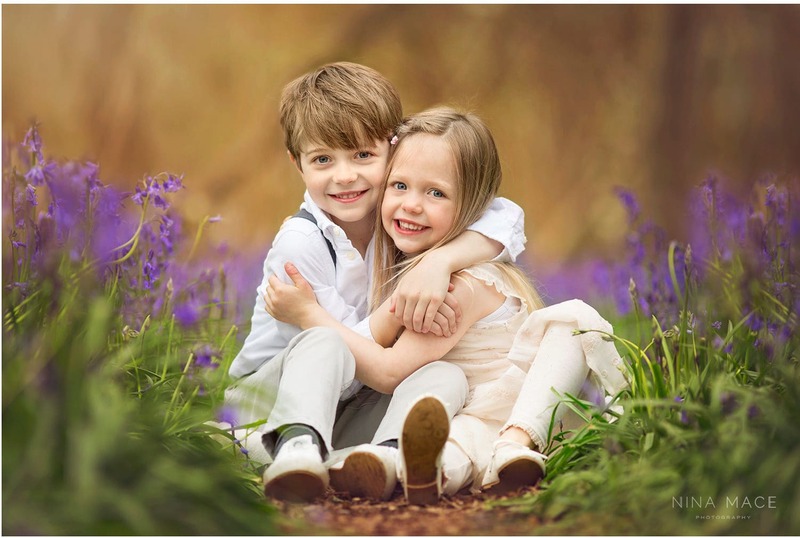 From light and bright newborn and baby images, colourful child photography full of laughter, to beautifully edited fine art children’s portraiture, this video illustrates how different photographers can create such varied images from a similar background. 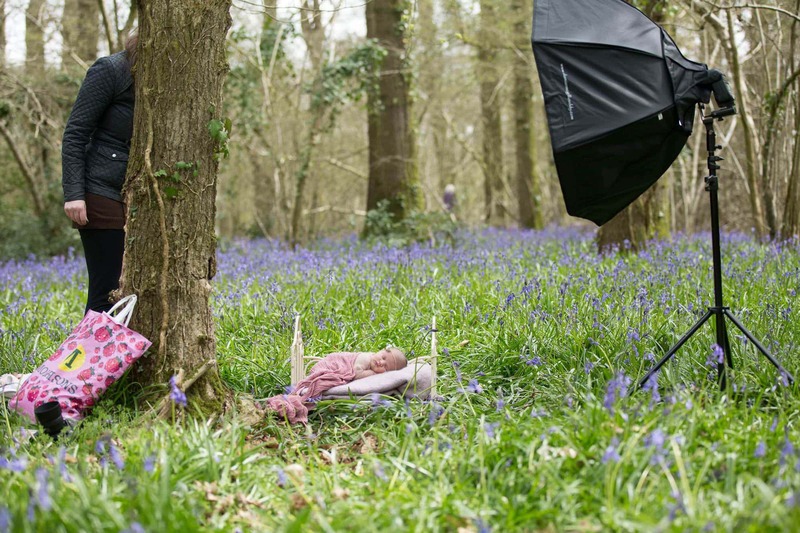 Behind the scenes with Karen Wiltshire of KW Photography. 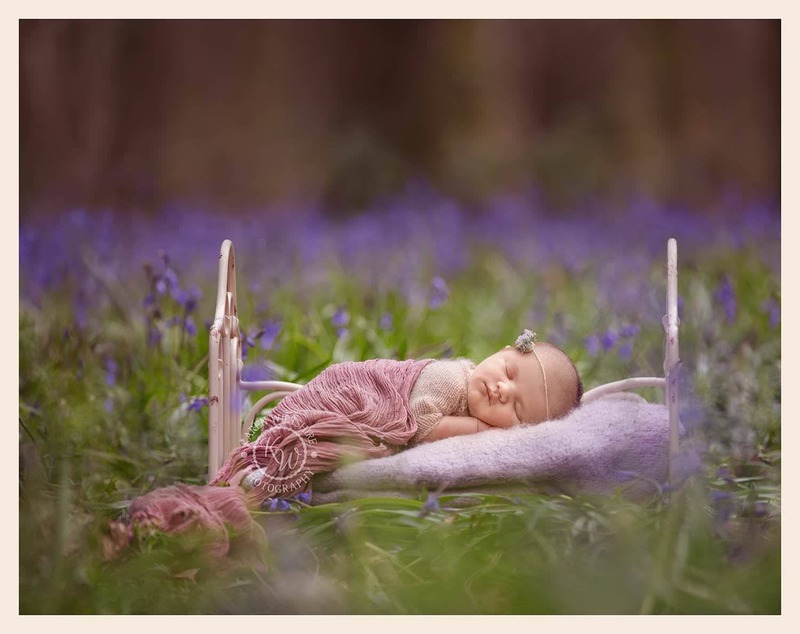 A newborn baby in the woods. Says Karen ” We had a heat pad to keep her snug and there was another photographer close by. I used off camera flash to give a little pop of light on the baby. 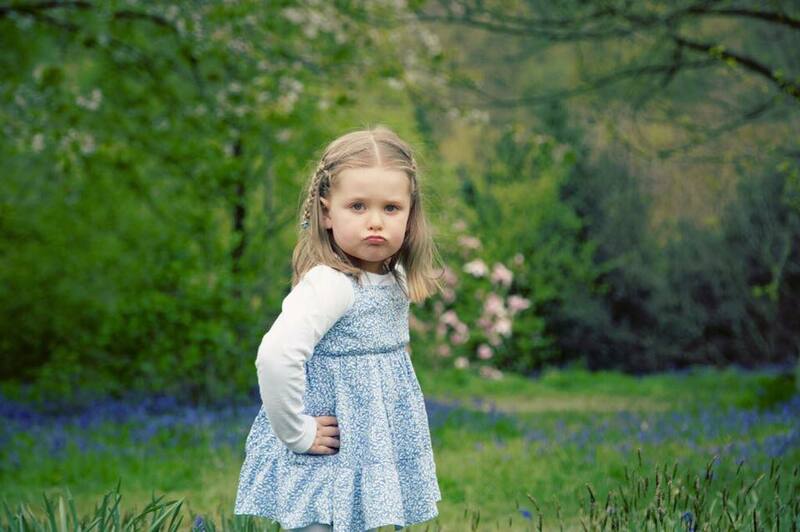 Shot at 1/200 f 3.2 at 190mm ISO 100. 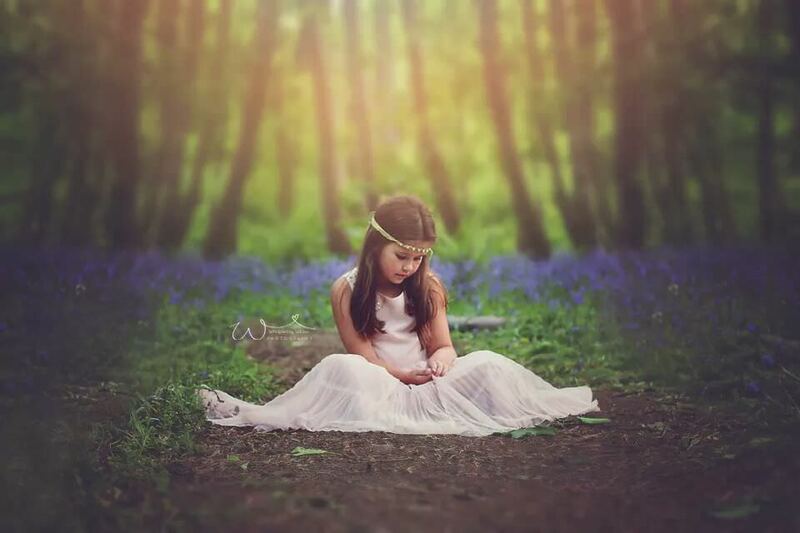 Edited in Photoshop give it a dreamy look , sort out the stray bluebells and wonky headband. 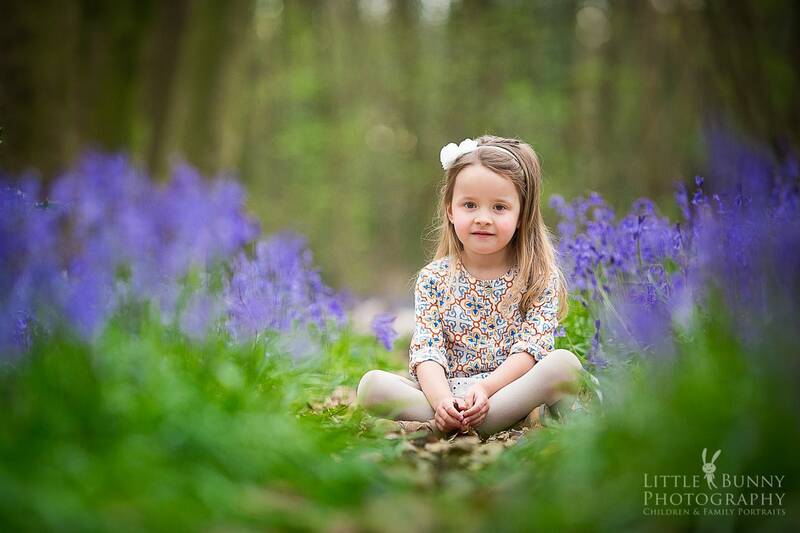 I was very low down and shot through the leaves to give the misty effect at the front”. 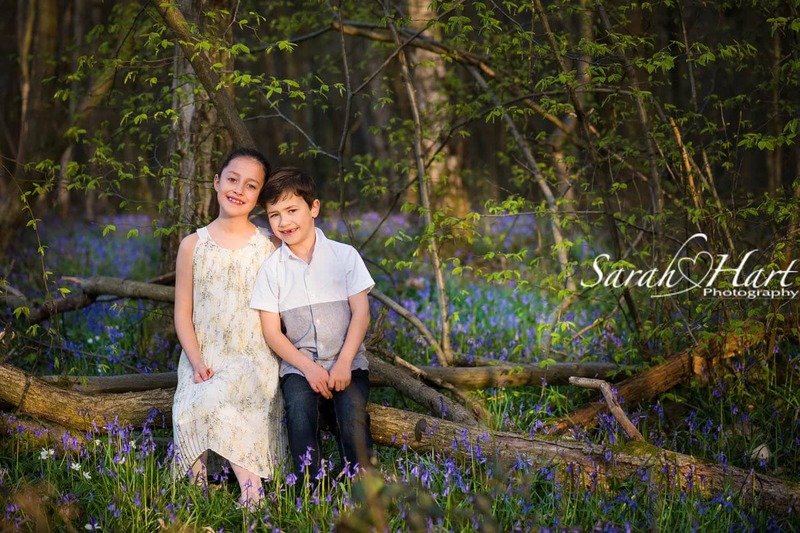 Sarah Capon Photography taken just as it began to snow! 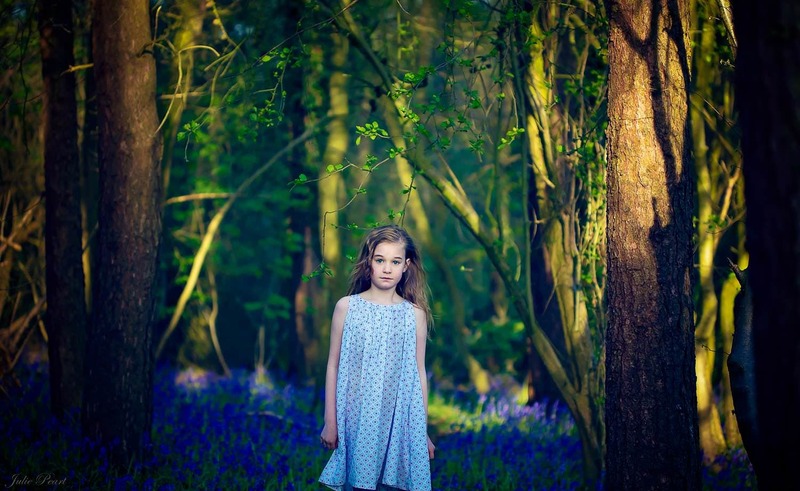 Shot by Lisa from Wild Goose Photographics ISO 100 70mm f2.8 1/640 . Taken about 9.30am on 24/04/16 on a sunny day at Everdon Stubbs in Northamptonshire. Taken by Fiona of Nature Nurture Photography around 5pm on the 70-200 Canon lens. 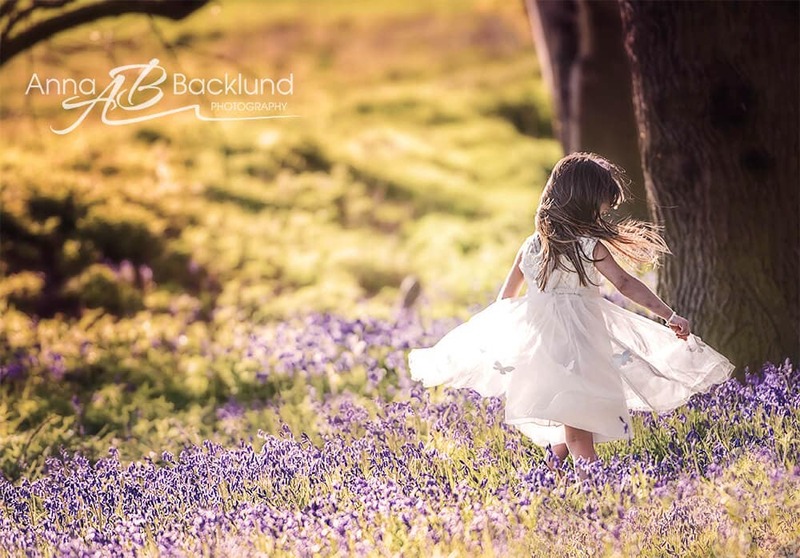 Taken by Anna of Anna Backlund Photography this was taken on 13th April 2017 at around 6.30 pm so it was probably a bit too sunny just before the golden hour. 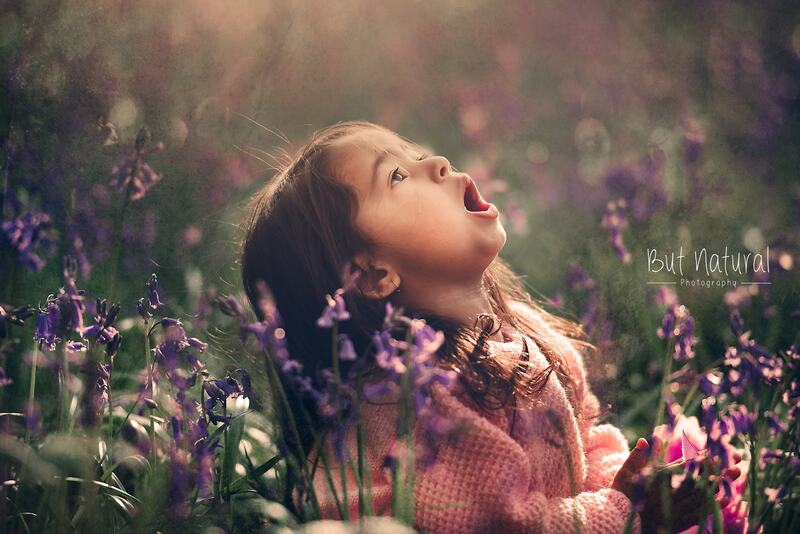 She used her Nikon D750 with 70-200 2.8 lens taken at focal length 200mm , ISO 500, shutter 1/1000. 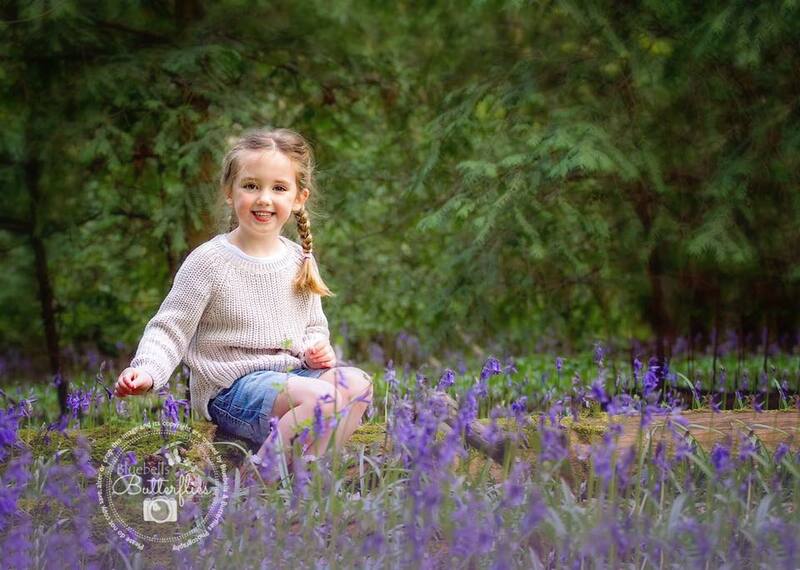 I hope you have found this blog of use and look forward to seeing many more bluebell images from you all :-). 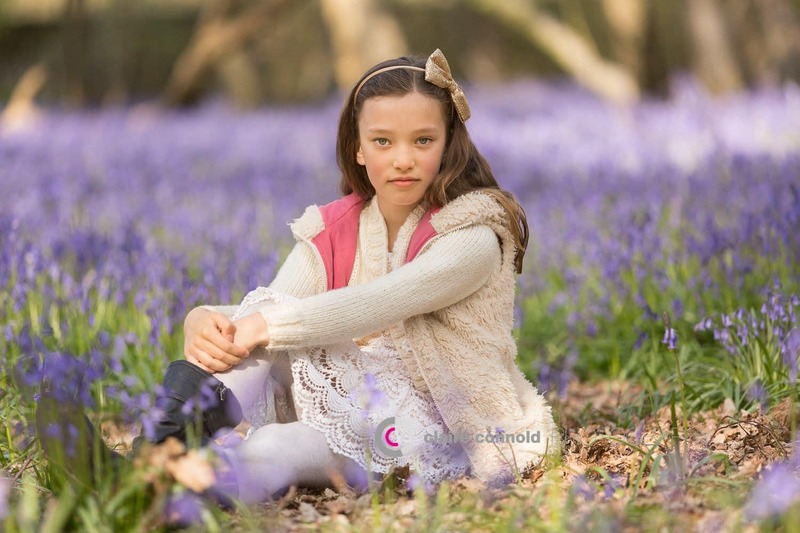 If you are interested in learning more about becoming a children’s photographer I offer 1-2-1 photography mentoring or group workshops. So lovely seeing my image among so many different styles. Thanks for including me! Just see this! Fantastic resource and tips. Thank you for Sharing!